As we all know, the holidays are a time for family and food. However, in addition to the no-no's we're all familiar with (raisins, chocolate, etc. ), there are some other holiday feast dishes that should NOT be shared with your doggy. We had the chance to chat with Lucy Postins, CEO of The Honest Kitchen and author of Made of Love, a cookbook filled with healthy recipes for dogs, who gave us the dish on what your pup can safely stomach. In addition to the "no-no" foods that we already know of, what other seasonal items do we need to keep an eye out for? 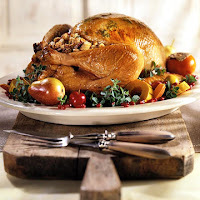 Stuffing and corn pudding –should be avoided for most pets, because they tend to contain onion and sometimes raisins, as well as ingredients like bread and cornmeal which aren’t very nutritious and can actually exacerbate ear infections and skin problems. Desserts and cheeses should be avoided too, because they can cause tummy upsets, especially when eaten in excess. Relishes, pickles and sauces are also best left out of your pet’s bowl because they tend to contain heavy spices, sugar, onion and other ingredients than can unsettle their GI tract. The following foods are toxic to dogs and cats and should not be offered in the form of leftovers or people-food additions to her usual meals: onions, chocolate, macadamia nuts, grapes, raisins & candies containing the sweetened xylitol. Also, never feed your dog as cooked bone! What left-overs are suitable to be shared with your dog? Turkey, Ham, Prime Rib and other meats. These can all be added to your dog’s food in moderation. The key things to remember are that dogs should never be fed any type of cooked bones because they can splinter and damage or impact the GI tract. Too much fat and gristle can be problematic and can lead to pancreatitis, which is very painful and potentially dangerous. Try to avoid prepared meats that have added lots of added sodium, nitrites and preservatives. Whenever you can, choose free-range, natural and grass-fed meats, which are better for you and your pet as well as the animal who provided the meat in the first place. Sweet Potatoes are an excellent source of beta carotene and make a highly nutritious meal addition for dogs. Steamed or baked sweet potatoes are ideal; raw root vegetables can be difficult to digest unless completely pulverized in a blender or food processor. Avoid giving your dog the kind of holiday-themed sweet potato side dishes that contain lots of maple syrup, melted marshmallows or candied nuts. Cranberries are a great addition to your pet’s meals at any time of year and especially during the holidays. Many dogs enjoy fresh cranberries but cranberry sauce and jelly can be full of sugar and other ingredients that Fido doesn’t need. Dried cranberries are a nice alternative, provided they don’t have lots of added sweeteners. Cranberries contain natural compounds that can help prevent bacteria from adhering to the bladder wall, so they are an excellent choice for cats and dogs who are prone to urinary tract infections. 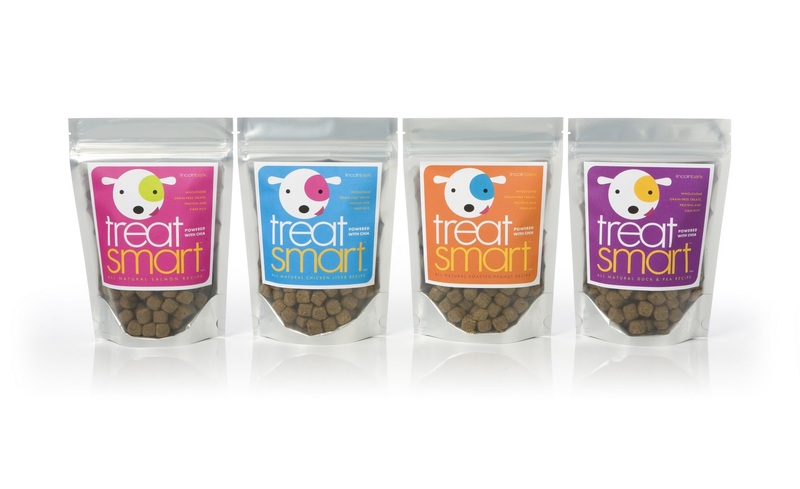 Pumpkin & Squash are great foods to share with cats and dogs in moderate amounts. Most pets love the taste of these nutritious, fibrous vegetables. If you’re making a soup, consider setting aside some of the gently cooked cubes of squash before you begin adding wine, cream, onions and other less pet-friendly ingredients to the mix. Winter Greens like chard and kale are a super source of vitamins and antioxidants. Brussels sprouts and cabbage are also loaded with nutrients, but they tend to cause gas. These can be added raw, lightly steamed or sautéed. Avoid serving your pet large amounts of winter greens that contain lots of added salt, wine, soy-sauce or butter. White potatoes are fine in moderate amounts. They contain fiber and minerals. Try to avoid serving your pet potato dishes that are prepared with lots of cream, ranch dressing, oil or butter. Potatoes provide a good source of Vitamins B3 and B6, Vitamin C, Potassium, Iron, Copper and Fiber. Potatoes have been associated with some adverse publicity in the past due to their content of glycoalkaloids, which can develop in the stems, shoots and green parts of the skin of potatoes that are improperly stored and where the skin is subjected to excessive or prolonged exposure to light. The shoots and green parts of potatoes should not be consumed by people or animals for this reason and should be removed before serving. 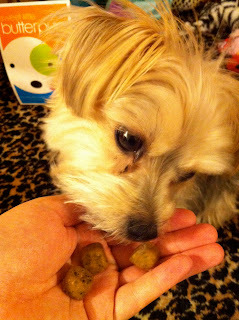 If you are sharing leftovers with your dog, what's the best way to figure out the correct portion size? A good rule of thumb is about 10% of your pets’ meal. A balanced topper is about half meat, and the other half vegetables and/or grains. Hope you found this as helpful as we did! 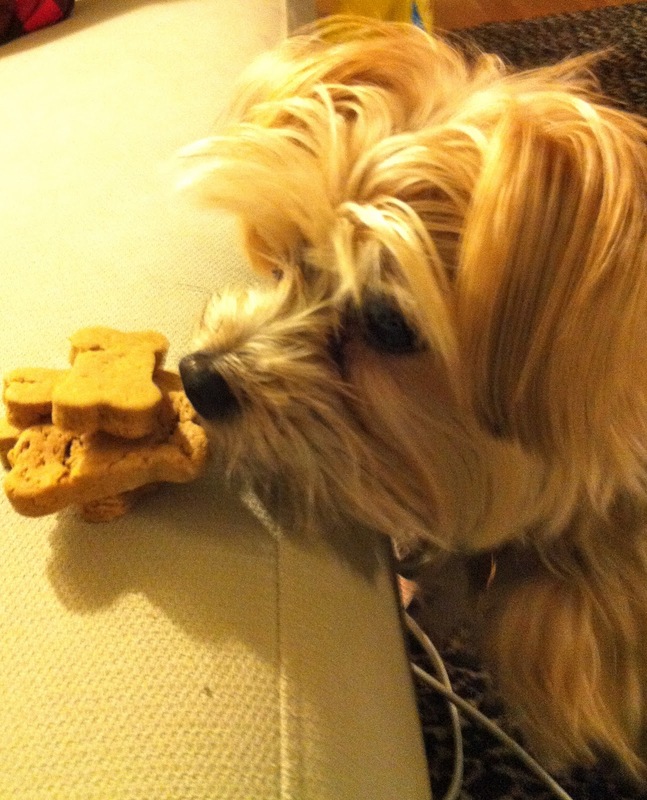 What leftovers do you share with your pup? Bon apetit and happy holiday feasting! 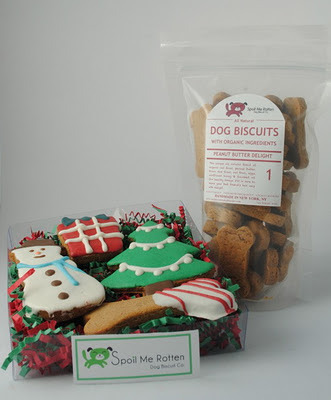 This holiday, Spoil Me Rotten Dog Biscuits and Barkzilla want to treat your pooch to some amazing hand-made treats! Made from organic, locally-sourced ingredients, all of their biscuits are wheat, soy, corn, and preservative free, and do not contain any broths or by-products (gross). I mean honestly, who wants to feed their dog something contains ingredients you can't pronounce? Anyway, we digress-- this amazing prize pack includes one box of 4 holiday-decorated Peanut Butter cookies (ooh, carob frosting! ), and a bag of SMR's popular Peanut Butter Delight recipe! 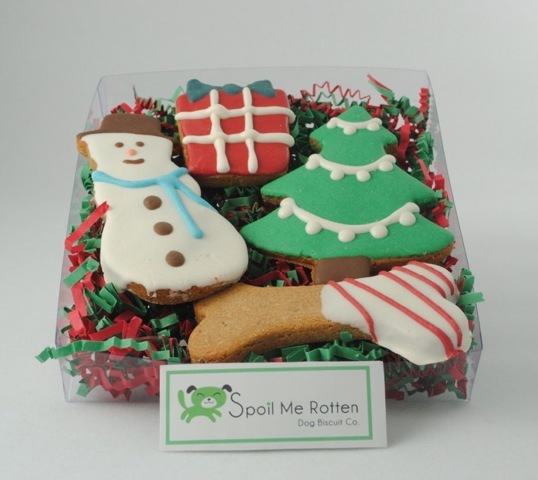 The perfect last-minute surprise to slip into your pup's present pile! 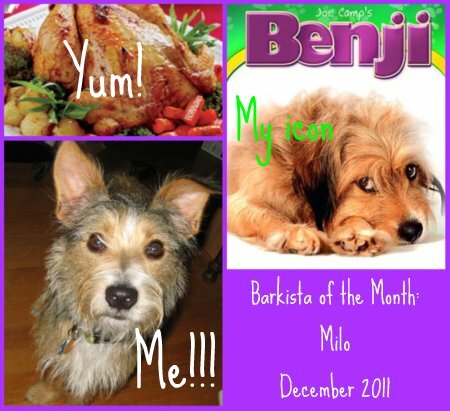 Introducing the handsome Milo, our December Barkista of the Month! 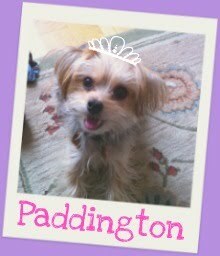 Hailing from Maryland, this pooch won't turn down fresh roast chicken and has a passion for Alexander McQueen! Learn more about his stylish picks below-- and don't forget, we're always looking for new pups to feature! Simply send us an email to barkzilla at gmail dot com answering the below questions along with a headshot! Favorite Accessory: A multi-colored fur coat - mine of course! Vacation Destination: Anywhere I can hang out with other dogs - even someone else's yard can be a fun place to visit! 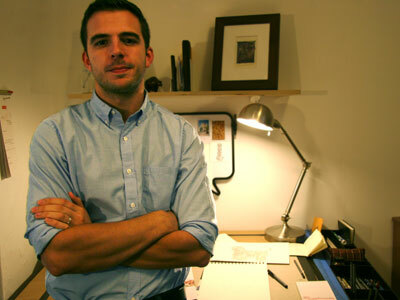 Favorite Website: It's a toss-up between Minxeats.com (my mom's food blog) and codenamecarla.com, my dad's site. What to get for the dog that has everything? 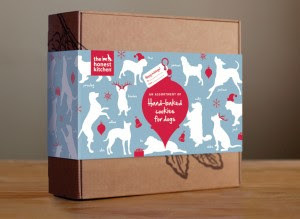 The Honest Kitchen's Holiday Treat Pack of course! 8oz Pecks: We haven’t met a pup who didn’t love our famous bite-size Buffalo & Blueberry cookies – less than 1 calorie per ‘Peck’! 8oz Nuzzles: Artisan Duck and Cherry, heart shaped cookies. 8oz Smooches: Chicken and Cranberry heart-shaped cookies, with just a hint of aged Parmesan. Force Trial Size: The base for our custom “Holiday Sage and Honey Cakes” recipe! Plus, a festive recipe card and holiday greeting from The Honest Kitchen! How yum does all of that sound? And for the steal prize of $24.99, it's the perfect way to spoil your pooch this holiday season. What could be more fun than shopping for holiday gifts for furry friends WITH your favorite anipal?! 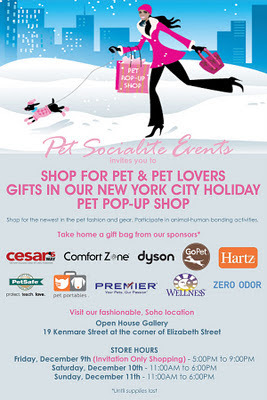 This Friday, we swung by the press preview of Pet Socialite's Holiday Pop-Up Shop! Located at 19 Kenmare Street (Kenmare and Elizabeth), this cozy SoHo space has been outfitted with chic holiday gifts for the deserving pups in your life. Including picks from vendors like FouFouDog, Jax and Bones, Pet Flys and more, the shop has something for every pup on your list. Everything is priced to be wallet-friendly too (yay). Open all weekend from 11AM-6PM, pet expert and hostess Charlotte Reed will be hosting two days of holiday activities, including : "Color Me Beautiful" pet fur-coloring classes, Holiday Etiquette with Miss Fido Manners, and Art-Casso Dog Painting! For a detailed schedule of events, visit the Pop-Up Shop's website! 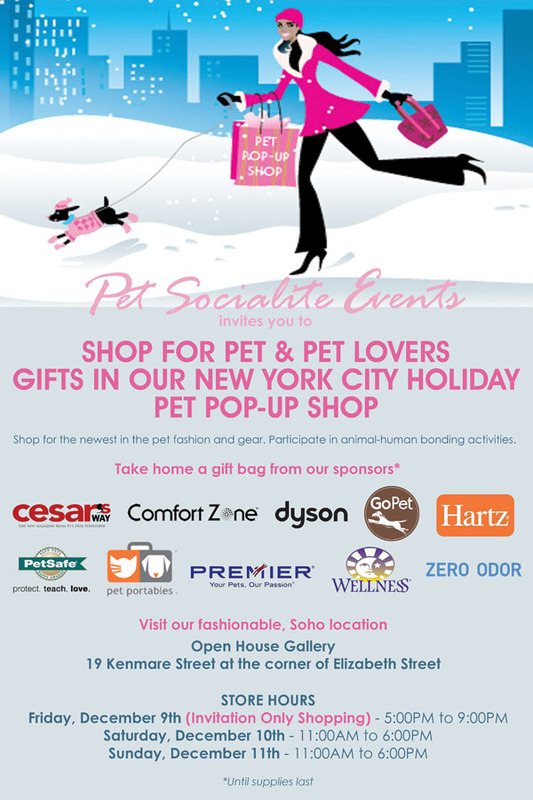 A super fun holiday event to share with your pup, we hope you'll stop by if you're in the neighborhood. Make sure to tell them the Barkistas sent you! p.s. The shop is cash only, so make sure to swing by an ATM on your way! 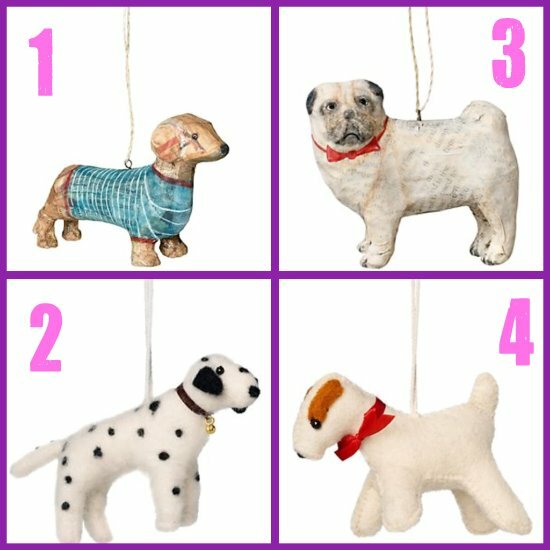 Are your pups making their holiday lists? Well, we hope there's still time for a last minute addition! 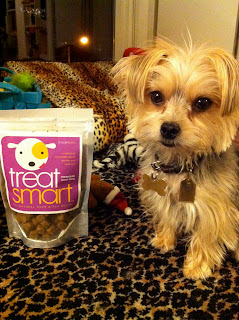 Introducing Lincoln Bark's TreatSmart snacks! Powered by the Chia seed (which you may or may not know is one of the hot new FDA certified "super foods" that's everywhere), these soft nutritional treats are loaded with protein, fiber, omega-3 fatty acids, phytonutrients, all 9 amino acids, age-defying antioxidants, are gluten free and contain more calcium per ounce than milk. Whew! Soft in texture and small (about bite-size for Paddy), you could easily break apart if you wanted to make the treat last longer. And if that wasn't enough for you, they're yummy too! Picky Paddington wasted no time scarfing down two (I know, the daily recommendation is one per seven lbs, but she was so fast! ), and has eagerly been eying the bag. We sampled the Duck & Pea flavor, but these treats also come in the Salmon, Chicken Liver and Roasted Peanut varieties. The perfect stocking stuffer for the health-conscious pet, pick yours up from Lincoln Bark's website-- $9.99 for an 8oz bag. Oh, and while you're there-- check out the ADORABLE doggy models they feature on their site! 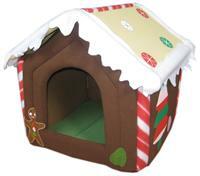 I think the real question that this adorable Coco & Pud holiday doggy bed poses is, "who doesn't want to live in a gingerbread house?" Probably only seasonally appropriate, it's a good thing that we can't find a US retailer -- otherwise we would be those people that leave their holiday stuff up year round.... awkward. Originally spotted by our friends over at Pretty Fluffy. For more info about pricing and availability, check out Coco & Pud's website. See! 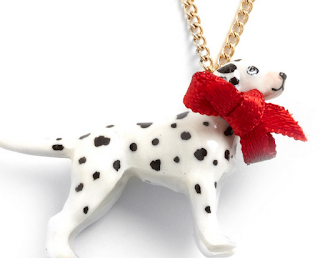 Pet-themed jewelry isn't always a fashion faux-paw. This porcelain pooch hangs from a 17.5" chain and is adorned with a pretty red bow. And his name is Blitz! Seriously, how cute?! By And Mary, available for $19.99 from ModCloth. Hello fellow anipals! We were almost quite tempted not to tell you about this giveaway (as we'd really like to win, hehe), but in the spirit of the holidays we realized we just had to share it. Our fabulous Aussie pals over at Pretty Fluffy are doing the most LUXE holiday giveaway EVER. EVER. Seriously. 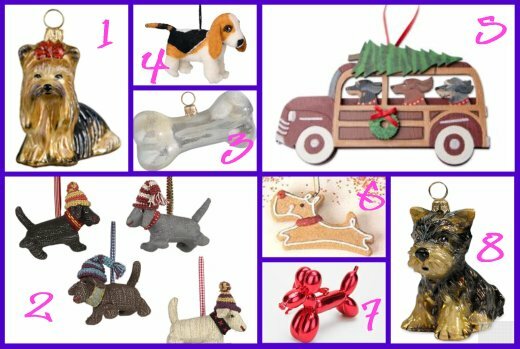 Check out some of these goods: toys, a Kate Spade coin purse, the cutest note cards, cookie cutters-- the chicest holiday picks for you and your pup! To enter, head over to their website for more info-- tell them the Barkistas say g'day! Here at Barkzilla, we've been kind of under the weather... which means our desire to snark has been greater than usual. 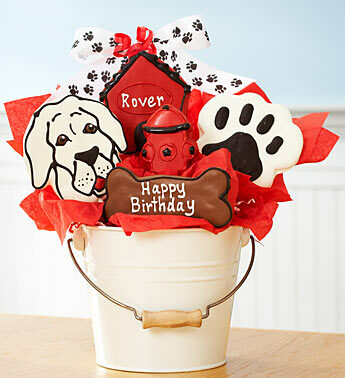 However, we have only nice things to say about this new item bucket of doggy themed cookies for humans available from 1-800 Flowers. Customizable with three different phrases, including "Thanks For Watching Me," The Doggone Sweet Pail includes 5 hand-decorated sugar cookies. Available from 1-800Flowers.com for $49.99 not including any additional delivery charges. 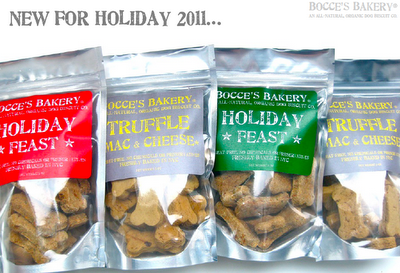 Have you entered our Bocce's Bakery Giveaway yet? We were given the opportunity to do a little taste test of the Truffle Mac & Cheese Biscuits (don't worry-- the winner of our giveaway gets a full, unopened bag + a bag of Holiday Feast flavor! ), and let me tell you-- if we hadn't sealed the bag, they would have been gone in a HOT minute. Made from yummy (skim!) mozzarella, and lean turkey bacon, the folks over at Bocce's have added a sprinkle of truffle oil to make them even more mouth-watering. Baked in small batches from fresh, human-grade ingredients, they include no chemicals or preservatives. For those with sensitive tummies, they're also wheat, and important for Paddy, liver, free. The perfect size for small mouths, they break easily (without making a messy crumble), which is great for those pups that are watching their waistlines this holiday season. While we've only got one bag to giveaway, you can head over to Bocce's Bakery and pick yours up directly from their site. 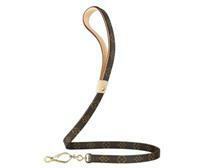 Why not pick up some for your furry friends as well? Seriously-- it's the ultimate affordable, luxury gift for the holidays. 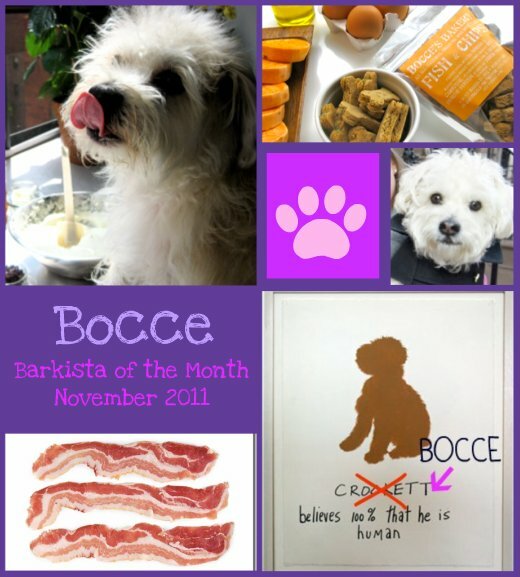 Introducing our very special November Barkista of the Month: Bocce! 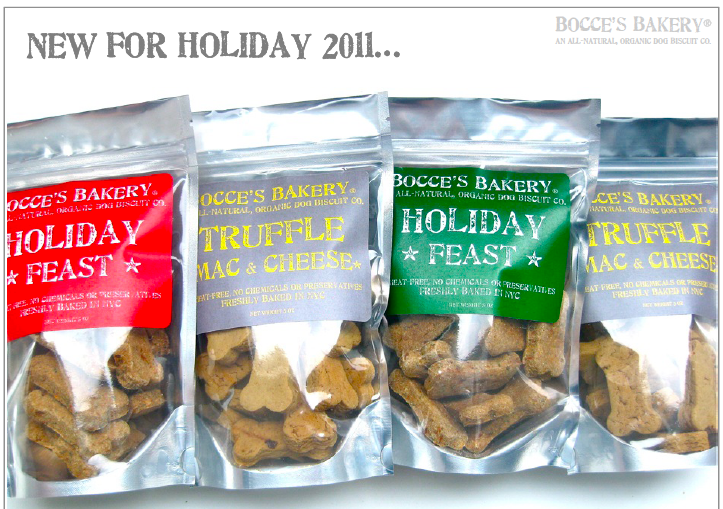 Yes, the namesake of super-chic Greenwich Village bakery Bocce's Bakery, is this month's featured pup. New York's beset known culinary inspiration (seriously, think of Bocce as the Mario Batali of the dog-culinary scene), Bocce's taste is impeccable: when it comes to both treats and style! Check out his Barkista-worthy picks and then make sure to enter our Bocce's Bakery giveaway! 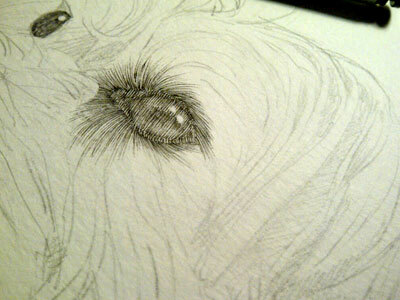 Canine Style Inspiration: Hum, I would say 'downtown scruffy chic'. Favorite Accessory: ...is bacon an accessory? Designer of Choice: The lovely team at Mulberry London sent me a very fancy cashmere coat as a gift last year. It's a navy blue peacoat. I love it, it keeps me very warm in the winter, and my friends say I look quite cute in it. I know my mom is jealous of it and wished it fit her, hehe. Signature Collar: Puppia! 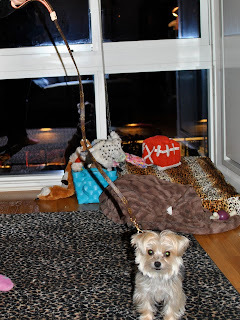 I got my first one at Zoomies NYC when I was just a little pup, and that's all I use. I like it cause it doesn't hurt me when I pull. Oh and yes, I pull alot, especially if there is a bird in sight! Ultimate Treat/Indulgence: My own treats, of course! They are yummy, and really healthy! I'm munching on a Fish & Chip biscuit right now. It's my new fave flavor! The Toy I Never Leave Home Without: Oh, I never take my toys out, cause there's already so much to do when we go on walks. 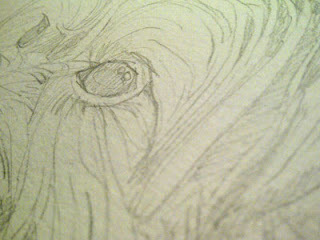 Like jumping on leaves, and playing w/other pups, and scaring the pigeons - that's my favorite! 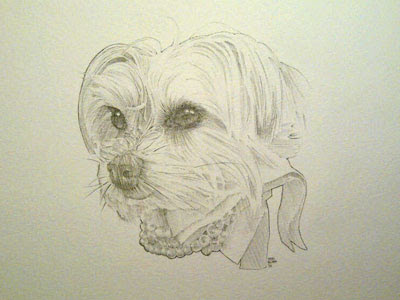 Designer Dream Item: Carter Kustera's amazing doggie portraits. Where You'll Most Likely Spot This Barkista: Waggin' my tail around the West Village or playing with my friends by our Biscuit Bike at the parks on weekends. Favorite Website: Twitter...I love to tweet with all of my puppy friends. I'm at twitter.com/BoccesBakery! This holiday, I'm wishing for....: Shhh...don't tell anyone cause this is top secret - but I can't wait for our new Holiday biscuits to come out! I heard its a roasted turkey, pumpkin, cranberry biscuit! It smells and tastes just like stuffing. I hope I get lots of them this Holiday. I'm gonna behave extra good from now until then, promise! Favorite Pet Cause: This year we gave a portion of sales and donated auction items to help pups affected by the Tsunami in Japan, we also love the Humane Society NY (they are awesome!) as well as the Mayor's Alliance NYC. 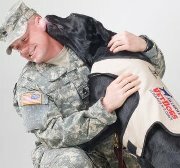 Want to be our next Barkista of the month? Send your pup's answers to the above along with a headshot to barkzilla@gmail.com! 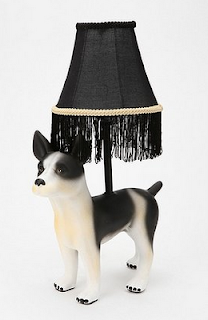 It's very rare that we get that excited about a light fixture-- but this Ceramic Terrier Lamp really takes the cake! Featuring a fringed black lamp shade, it's the ultimate in kitschy-cool. Available exclusively from Urban Outfitters online for $64. While we'd argue that the "Most Wonderful Time of the Year" is still a little ways off, you wouldn't think so from all of the holiday marketing that's going on already. Though we're not quite ready to bust out the egg nog, we are counting down the days until it's time to deck the hall. This year, we've got a lot of things to be thankful for -- and we want to share the love we feel with all of our wonderful readers by hosting a giveaway with the awesome folks over at Bocce's Bakery! 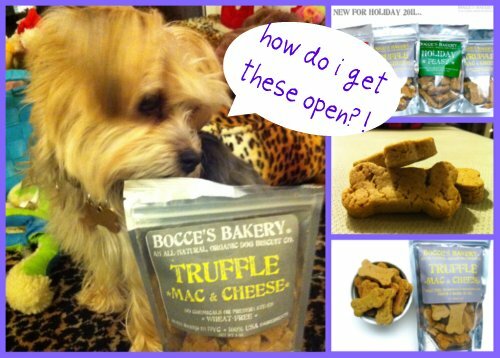 That's right, we got our paws on two bags of this season's hottest treats, Bocce's Biscuits in Holiday Feast and Truffle Mac & Cheese! In fact, we've been told that the Truffle Mac & Cheese has already been flying off the shelves! 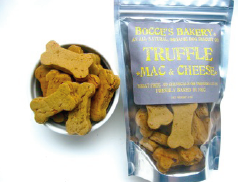 Made from wholesome, fresh, human-grade ingredients, all of Bocce's Bakery's treats are wheat-free and baked in small batches with lots of love. 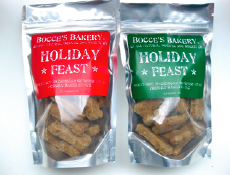 A Thanksgiving feast in biscuit form, Bocce's Holiday Feast biscuits feature slowly roasted hormone-free turkey, organic pumpkin and lots of healthy cranberries. The ultimate in decadence, these Truffle Mac & Cheese treats are at the top of Paddy's list this holiday season. Seasoned with truffle oil (yes, you read that right), they also include skim mozzarella, and lean turkey bacon which are sure to please even the pickiest pup's palette. So here's the deal-- we've got several ways that you can win these much-sought after treats-- simply enter below and we'll be picking a winner next week! Good luck and happy snacking! Oh, and if your pup just MUST have their own bag (which I'm sure they will), head over to Bocce's website to snag your own holiday treats. We're definitely going to be picking some up for the "nice" doggies on our shopping list.